This is probably the best book to recommend to someone who is no longer comfortable living with the intellectual compromises necessary to maintain a traditional "faith. 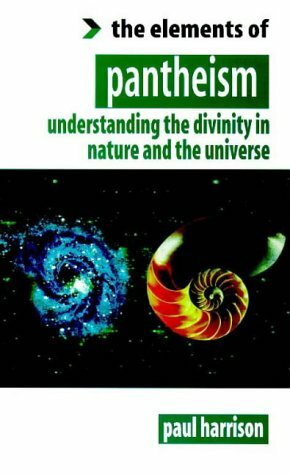 "If you are looking for religious inspiration or a meditation on nature, this is not the book for you.But if you want a clear and succinct summary of the arguments for pantheism and its historical antecedents and parallels, then this book is a gem, with useful contextual information and insights on every page. "Pantheism" can be a confusing term, loaded with allusions, just like "theism," and "atheism. ""Pantheism" might connote to some the ancient Greek god Pan, or worship of nature deities or a "New Age" Gaia.Some, like New York Times columnist Ross Douthet, reviewing the film "Avatar," claimed that pantheism was the new Hollywood religion.But as Harrison describes it, pantheism is fully compatible with modern science, simply referring to reverence for the whole of existence, its complex and often harmonious interrelatedness, and our participation in it.It thus is compatible with the atheism of biologist Richard Dawkins, which, as he indicated in his own book, "The God Delusion," is simply an argument against the obsolete anthropomorphic supernatural deity found in Judaism, Christianity, and Islam.Harrison accepts that pantheism itself can encompass various perspectives, including the more "New Agey" kind that plays fast and loose with science.But it can also fit a fully naturalistic and "hard science" view-point as well, which he clearly seems to prefer but does not push too hard for. A potential cause of confusion is the "alternative" to pantheism also becoming more written about, called "religious naturalism," -- promoted by science writer Chet Raymo, biologist Ursula Goodenough, theologian William Murry, and many others.However, many people, like myself, likely would see these two perspectives as intellectually equivalent, with the only difference being the willingness to still use some redefined versions of the terms "theism" and "God" in pantheism, vs. an attempt to generally avoid these loaded terms by proponents of religious naturalism.Pantheism perhaps has the advantage of providing a clearer bridge for those still uncomfortable leaping off the (albeit illusory) cliff of theism to see if they can soar in open air of scientific naturalism.To my theistic friends, I'd say take a look at pantheism.To my atheistic friends, I'd commend religious naturalism. Note: both pantheism and religious naturalism have several good web sites, easily found through web searches. Again, though, this profusion can be confusing and frustrating for some of us who would like a more integrated "front line" to fight back the still strong and radicalizing forces of medieval religions. I just finished ELEMENTS OF PANTHEISM and loved it.I strongly recommended it to all who feel a profound connection with nature and the universe. I appreciated the scientific content, as I try to keep up-to-date on science.As a Pantheist I often think of how important scientific findings tie into the whole, and Paul Harrison obviously is well-read on a lot of issues--and does a wonderful job communicating them from a Pantheistic perspective. Other aspects that impressed me in ELEMENTS OF PANTHEISM were the history of Pantheism, Pantheism's ethical implications, and the various ways to practice Pantheism.All of these were thought-provoking. Too, I appreciated the content about intellectual arguments going on in the world of Pantheism today. They pose a great challenge for Pantheistic thinkers everywhere to base their faith on careful reasoning and not wishful thinking alone. Pantheism does have a wonderful potential for growth in the world.Paul Harrison's book, in my opinion, is (and will continue to be) an important part of realizing that vision. 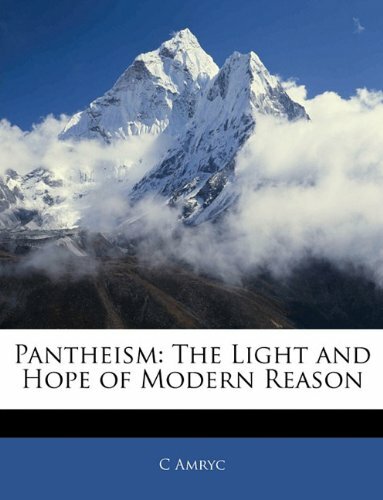 I was highly impressed with this book and author.He carefully explained the beliefs of Pantheists without being condescending or judgmental toward other belief systems.His explanations were presented in a logical order and easily understood.This is a book I will keep to refer back to in future. I bought this book interested in what pantheism was all about. I am a Christian but I tried to keep an open mind. This book struck me as atheism + nature reverence. Not that that isn't a valid position to take but I thought pantheism proposed a god of some sort, instead of equating God with the Universe, as Mr. Harrison has done. 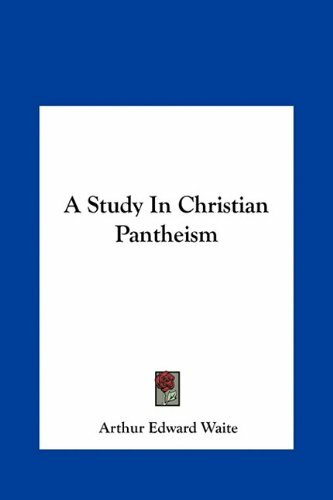 I have since gone on to read Michael P. Levine's account of Pantheism which, though pricey, is an excellent study in traditional pantheism. I wasn't convinced either by his account but I see that pantheism is much richer than Paul Harrison makes it out to be. Pantheism as a world-view posits an all-inclusive divine Unity that is something like a positive force that pervades the universe. Marcus Aurelius' Logos, Lao Tzu's Tao, and Hegel's Geist are all versions of this force. Paul Harrison takes this basic understanding out of pantheism and then says that reverence of nature is the key to pantheism. But I don't think that's what pantheism is about at all. Harrison's is an atheistic nature mysticism, not a viable traditional pantheism. Another problem I had with his book was the amount of errors in it. It apparently was rushed into publication because there are numerous errors throughout, one which I find particularly comical. On page 31 Harrison is speaking about various pantheists in the modern era and he lists Ralph Waldo Emerson, who no doubt is pantheistic, but he lists his life dates as 1803-1822. Which would make Ralph Waldo Emerson, who wrote most of his works in the middle of the 19th century, 19 when he died. Emerson of course lived from 1803-1882. It may seem like a small error but others of the like are scattered throughout the book and it makes the book a little choppy in places. Pick this book up if you want someone's personal view of pantheism. 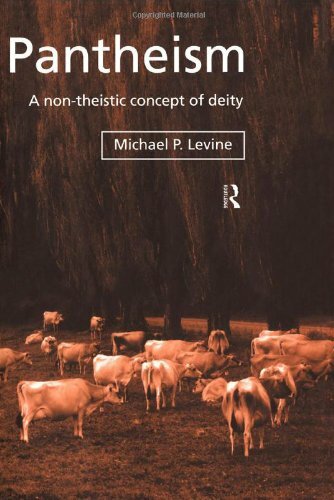 If you want a broader sweep of Pantheism check out Levine's book. Spinoza's Ethics has long been considered the most complete attempt at explaining and defending pantheism. Historically, however, pantheism has had numerous forms. Michael P. Levine manages to disentangle the concept from Spinoza to present a broad philosophical and historical survey of pantheism. I bought this book as a Christian Theist. I suspected that I wouldn't gain much from it so my view was not very objective. I've heard horror stories about Pantheism from members of the Church and I wanted to investigate. What I found in Dr. Levine's book was a wealth of information that is provocative and compelling. 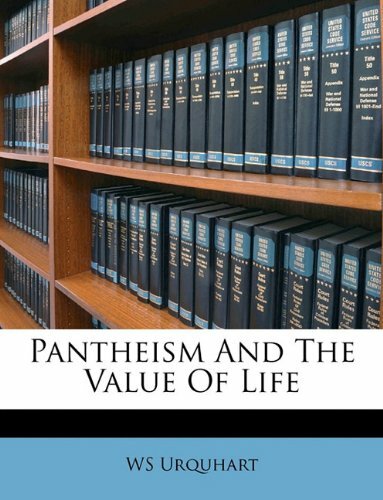 Though this book reads in a dense philosophical way the last section on Pantheist living is very persuasive. I especially like his contrast between relationship (as per theism) and state (as per pantheism). Which basically comes down to personal and non-personal concepts of deity. The book starts out with an introduction then moves into section 1 which talks about the different definitions of Pantheism. 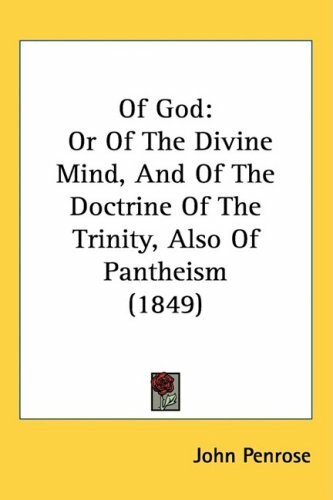 I would say that the best short definition is that Pantheists believe in a divine all-inclusive Unity: A principle of order and direction that is interspersed throughout the Universe. The final section, as I mentioned, deals with pantheist practice. I found that the book explains a good world-view and is full of insight into being a healthy pantheist in relation to the rest of the world. I highly recommend this book, even for the price, for anyone that wants a definitive explanation of Pantheism as a philosophy and life path. 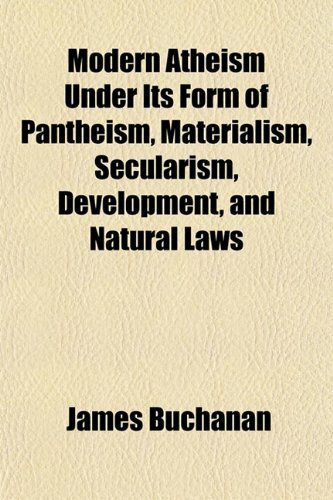 Another book of interest would be Paul Harrison's "Elements of Pantheism" but I found that book to be atheism in disguise. I am an Elemental Pantheist and this book is the best book on Pantheism bar none.Mr. Levine has done his work with this well researched book.If you want to understand what real pantheism is - not the junk New Ageists and modern pagans label "pantheism" - please read this book.Pantheism is a viable religious system for the 21st century and beyond.It is very compatible with science and the progress we need to make in order to survive as a species. Pantheism is hardly a new phenomenon, counting among its official and unofficial exponents many renowned philosophers, poets, and artists.It is also an ingredient, often an undigestible one, in most of the world's religions.In recent years the rather diffuse pantheistic currents have gathered together in a number of formal and informal associations -- one, the World Pantheist Movement, is well organized and growing and represents a particular form known first as Scientific and now Naturalistic Pantheism.An excellent introduction to Naturalistic Pantheism as a religious movement can be found in Paul Harrison's ELEMENTS OF PANTHEISM. 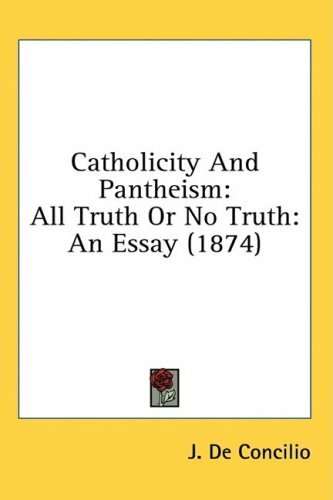 Unlike Harrison's short and eminently readable book, Michael P. Levine's PANTHEISM is formal, philosophical, slower going, and more opinionated.He insists, for example, that pantheism is not atheism -- a point I agree with while acknowledging that many pantheists would not insist on that being true.Levine also states upfront that he himself is not a pantheist.I find it a fascinating conundrum that a "non-believer" would take such a hard line on what constitutes the conviction he himself doesn't hold. 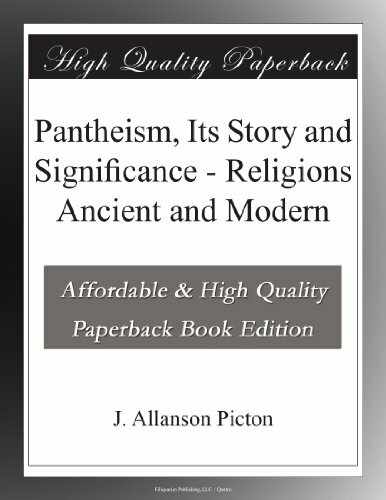 I've written a long review, but here's the summary: This book's author, Paul Harrison, is the president of the World Pantheist Movement, which has a web site at www.pantheism.net. If you are unfamiliar with pantheism, check out the website; and if you want more, this book is for you. It covers about the same material as the webpage, but in a bit more depth. 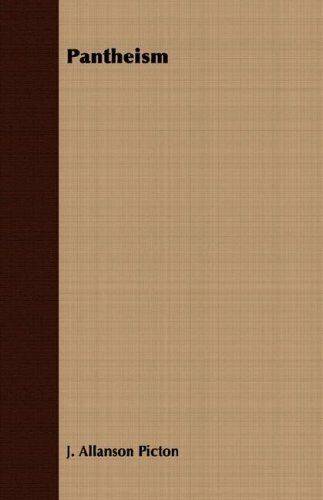 Nevertheless, don't imagine that this is a scholar's book: with about 100 pages of text, it is just a simple introduction--but a good one, accessible to average readers. In the first chapter, "What is Pantheism?" Harrison explains that pantheism is a religious reverence for nature or the universe, embracing science and affirming life. He contrasts it so several other "isms," such as atheism, panentheism, and so on. He writes that "when Pantheists refer to the Universe as their god, what they really mean is that they feel the same profound sense of awe and reverence that other believers feel towards their gods. ... Although it does not tell us anything extra about the Universe itself, it expresses the powerful emotions that Pantheists towards the universe." This alludes to high scholarly discussion and criticism of atheism, but Harrison makes the discussion no more complicated than that. 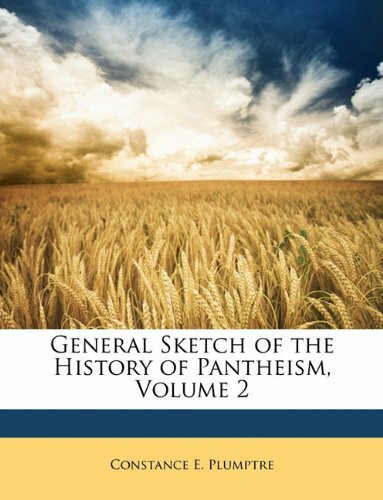 Chapters two and three sketch a history of pantheism from ancient times to the twentieth century. 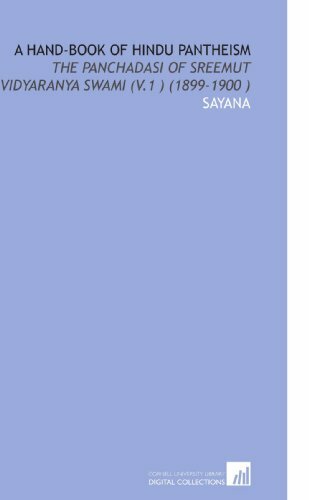 He finds pantheism in the Hindu Upanishads and the Bhagavad Gita, in Mahayana Buddhism, especially the Hua-yen and Zen traditions, in Taoism (he quotes Chuang Tzu a few times in the book), in some pre-Soctratic philosophers, in the Stoics, Epicureans and Plotinus; he finds hints of it in the Hebrew Bible and Talmud, but especially in the Kabbalah; hints again in the Koran, but especially in the Sufis (he cites Al Hallaj and Ibn Arabi); hints in the New Testament and the Gospel of Thomas, and in a few heretics such as David of Dimant and Amalric of Bena, and also in Meister Eckhart. He regards Giordano Bruno as a post-Christian pantheist, and in this category he places John Toland, Spinoza, Goethe, Schelling, Hegel, the English Romantic poets (at least for parts of their lives), the American Transcendentalists, Richard Wagner, Gustav Mahler. He even admits that Ernst Haeckel was a pantheist. For twentieth century pantheists, he includes Frank Lloyd Wright, Robinson Jeffers, D. H. Lawrence, and Einstein. The reader need not be intimidated: his discussion of these figures takes only 21 pages! Unfortunately, you will not taste the flavor of those spiritualities, but you will at least realize that pantheism is a "perennial heresy," as Harrison cleverly put it. He could have included many more examples. For instance the recommended reading, in the appendix, mentioned Jakob Boehme as well. I'd love to see a book that explored these figures and movements further, from a pantheist point of view. Chapters four and five outline the "core beliefs" of pantheists: reverence of the universe and sacred nature. He writes, "All pantheists feel that the Universe is in some sense worthy of the deepest reverence." Also, "And they accept that the Universe is in important senses a unified whole of which all individual things are interdependent parts." I have a small objection in these chapters. One reason he considers the universe to be unified is because it is causally interconnected. But that's wrong. The horizons of our own universe (from our perspective) haven't been causally connected for billions of years. And distant galaxies are falling off the apparent edge of the universe because the space between them and us is increasing faster than the speed of light. Events that happen in our galaxy today will never effect them. But does it matter? I doubt it. The universe (multiverse?) is yet wonderful to behold. But we need to drop references to the interrelatedness of the cosmos: it is not an ecosystem. He makes a few interesting points in these chapters. For instance, he quotes the pantheist Spinoza, "He who loves God cannot endeavor that God should love him in return," juxtaposed with Richard Dawkins saying that nature is "nothing but blind, pitiless indifference." It's simple enough to say that those statements mean the same thing, but Harrison explores it: Dawkins' terms "seem as little justified as blaming a rock for not feeling compassion." I imagine Dawkins agrees; he was describing, not blaming. But Harrison knows that this will be a sensitive point for traditional theists and fluffy New Agers; so he explains, "Do you expect the forest to love you back? ... Does it make you love the forest any the less?" I, the choir, was impressed and persuaded, but Harrison went further, getting aggressive with theism: "The question why God would allow pain and evil to exist is one of the most difficult of all for theists to answer. Pantheists do not have to answer it." His discussion of human significance could be a little better, I think. "And although our lives have no external purpose, we can give them the noble purpose of observing and understanding and loving the universe [strangely switching to a lower-case U here] and nature, and of preserving nature on our planet, and of creating societies where all humans can have dignity and the opportunity for fulfilment." If I anticipated a cricital audience I would try harder than that. Instead, Harrison moves on to criticize traditional monotheism's account of our significance. I think his criticism is right. But there are spiritualities and philosophies besides pantheism and monotheism. So what he really needs to do is explore pantheist accounts of human significance in greater depth, and more compellingly. His discussion of sacred nature also has a fatal flaw: it's too glossy. I agree that nature is beautiful to behold, but we have to admit with Tennyson that she is "red in tooth and claw." Nature may not love us; but indeed she loves none of her creatures. Dening the violence of nature often includes denying the violence of human nature. But as ever, "Know thyself" means in part, "Face the awful truth." We are cut from the same cloth as the rest of nature. A mature pantheist spirituality must acknowledge this explicitly, even if we choose to resist it. Whatever the results, we have to confront the beast within: its cage has a back door. A pantheism of denial is New Age kitsch, and it bites us when we're not looking. Naive environmentalism is an example of the danger. He quotes a "1990 gathering of pscyhologists at Harvard" declaring, "If the self is expanded to include the natural world, behavior leading to the destruction of this world will be experienced as self-destruction." At best, that is wishful thinking. The Bush and Saud families might approve, but the rest of us need more realism. I'm sure those pscyhologists strengthened their self-esteem, but they will never do anything for the Black Rhino or the Mountain Gorilla until they take a more realistic view of human motivation. Until pantheism considers the dark side of human nature, and responds, it remains in this respect immature compared to traditional religions. This is important to me, but evidently not to Harrison. The sixth chapter is on ethics; with conclusions basically similar to Secular Humanism. An in-depth exploration of morality is beyond the scope of an introduction to pantheism; and it would surely divide rather than unite its audience. I'd like to see it anyway, but Harrison is too wise to put it here. The seventh chapter covered "celebration, meditation and mysticism." It wasn't bad; but again I wanted more. 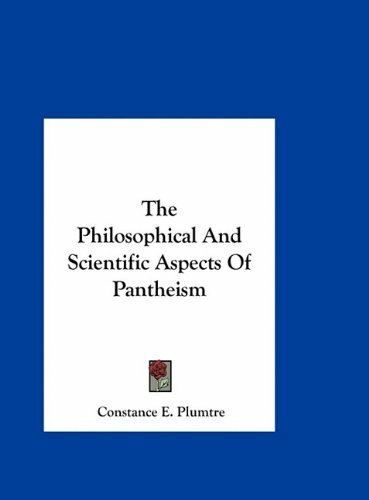 Chapter Eight is on pantheist "controversies" such as whether some immaterial "spirit" exists, whether there is life after death, and so on. Clearly Harrison's sympathies (and mine) lie with the materialist skeptics, but he makes room for dualists and idealists. The ninth chapter is about organized pantheism, and Harrison's optimism for its future. There are some appendices as well: dates of the solstices and major meteor showers and so on; that information is also available on the website. In all, the book is a fine introduction to pantheism, and I hope that this spirituality continues to flourish. I also hope that books with similar content but more depth appear in the coming years. 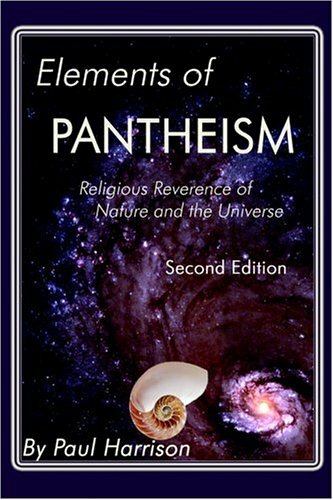 This book is an excellent primer of the History of Pantheism, but, with an unfortunate, and a quite unnecessary, Atheistic bias by its' author, Paul Harrison. 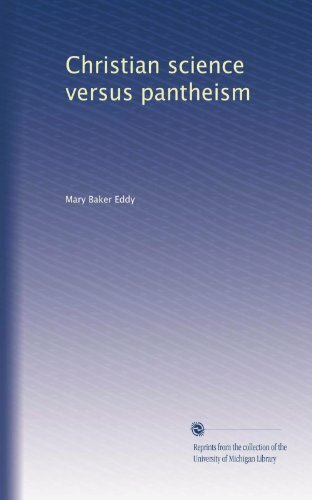 I am the only reviewer here, thus far, that is NOT a member ofthe authors' WPM or World Pantheist Movement, or its' members callingthemselves, Scientific Pantheists, therefore, my review here is unbiased.The book is an excellent overview of Pantheism, in general, and I dorecommend it highly. However, those that are actually looking for somethingeven remotely" Spiritual " and/or even remotely "Purposeful ", in Life, and/or, in Cosmos, will only come away quitedisappointed.